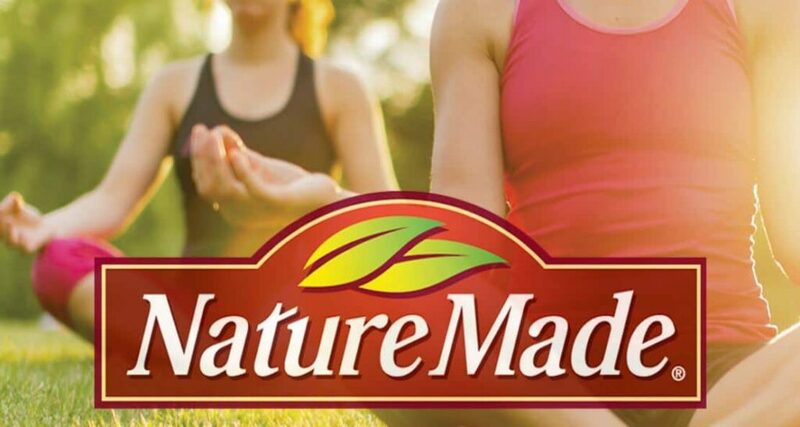 This healthy habits post was sponsored by Nature Made® as a part of an Influencer Activation for Influence Central. Starting your path to healthier living isn’t always easy. We have good intentions, though. We buy lots of healthy foods at the grocery store. Pick up a nice, new pair of sneakers to start on our workout routine, and decide we are going to read less and spend more time developing new healthy habits and pastimes. But, we are also busy and stressed out and just downright tired at the end of the day. All the healthy foods in the world won’t make a difference to my health if I have no energy to cook them, right? One of the things I really need to focus on in the next couple of months is boosting my energy levels so I can achieve better health and find time to live life to it’s fullest. In order to do that, I am going to start adding a few more B vitamins into my diet. 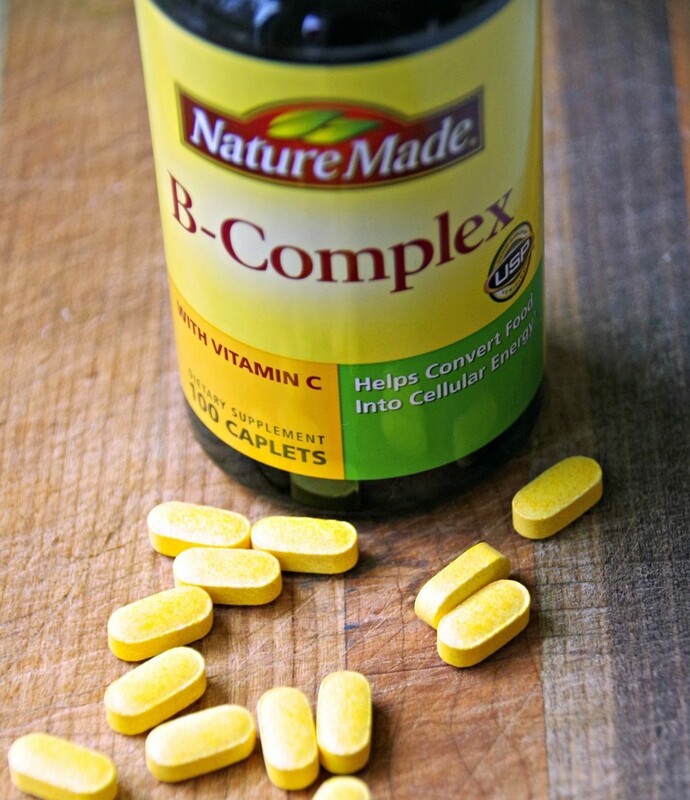 B-Complex and other B vitamins help support cellular energy production. That means they help convert the food we eat into energy. Since I am on the go all day, I can use all the extra energy I can get! Nature Made is the nation’s #1 best-selling brand for quality vitamins, minerals and supplements* to help support nutritional gaps you may have in your diet. Since Walmart always offers low prices on Nature Made vitamins and supplements, there is no worry about waiting for a sale. But, just buying your vitamins isn’t going to make you any healthier if you don’t remember to take them daily! Did you know it takes 3 to 4 weeks for a healthy habit to become a part of your life for good? Nature Made realizes that and wants to help! So, how do you get started? Pick four habits you’d like to build over the course of 30 days. Complete weekly challenges to help make those habits part of your routine. Get rewarded for your progress with prizes, coupons and more. Even enter to win $5,000 to help you maintain your habits. Need a bit more help turning your healthy habit into a lifelong change? 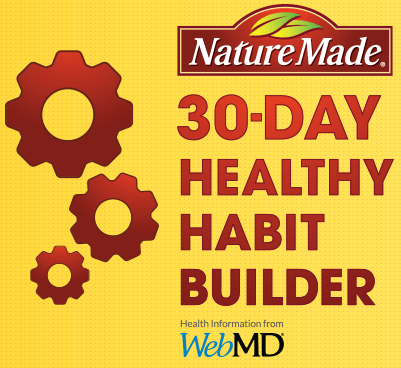 Visit and sign up for the Nature Made Daily Boost program. It will provide inspiration and information to further your health goals and to get a sneak peek at what other Nature Made fans are doing to stay healthy. Everyone needs a buddy or two along the road to healthier living, right? Making small changes in your daily life can lead to big changes in your health if you turn them into life long habits! Spring is almost here and with it will come things like bike rides, garden planting, and (egads!) swimsuit season! It’s time to dust off those New Year’s Resolutions you didn’t keep and start building healthy habits again. Enter below for a chance to win a Walmart gift card so you can pick up a few vitamins to get started on the road to healthier living! I-C will randomly select 20 winners from all program entries and will handle fulfillment of the winning prizes.